Born in Métabetchouan in the Lac Saint-Jean region, Jean-Paul Desbiens entered the order of Marist Brothers at age 14 under the name of Brother Pierre-Jérôme. After studying philosophy at Université Laval, he taught at the Académie commerciale de Chicoutimi in the late 1950s and at Collège d'Alma at the onset of the next decade. 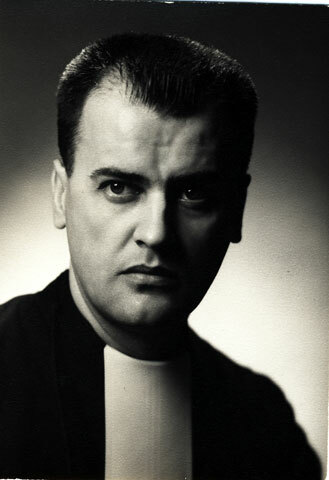 As a result of the outcry raised by the publication of Insolences d'un Frère Untel in 1960 (The Impertinences of Brother Anonymous – 1962), Desbiens left Quebec for Switzerland, where he obtained a Ph.D. in philosophy from the University of Fribourg. After his return to Quebec in 1964, he became the program director at the Direction générale de l'enseignement collégial (DGEC), then the director general of elementary and high school education at the Ministry of Education. In 1970, Desbiens left the civil service to become chief editorial writer for the newspaper La Presse, a position that he left in 1972. He then returned to the world of education, holding the position of Director General of the Campus Notre-Dame-de-Foy in Cap-Rouge until 1978. His career ended where it began, in Lac-Saint-Jean, where he was named provincial head of his congregation, the Marist Brothers.